"It's strange," said one of the guards. "I stand by his cell sometimes, and I hear him praying for us! He's doing all this for love? We know nothing about this God of love, but it sounds very right." God's love is stronger than fear! 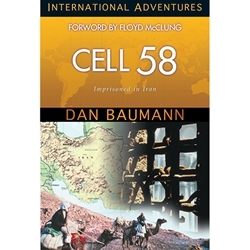 This book chronicles Dan Bauman's experience in Iran in 1997, when he was wrongfully accused of espionage and thrown into the most infamous high- security prison in Iran. Imprisonment in Iran, the threat of execution, and God's hand moving in the lives of the guards make this a thrilling addition to the International Adventures series.